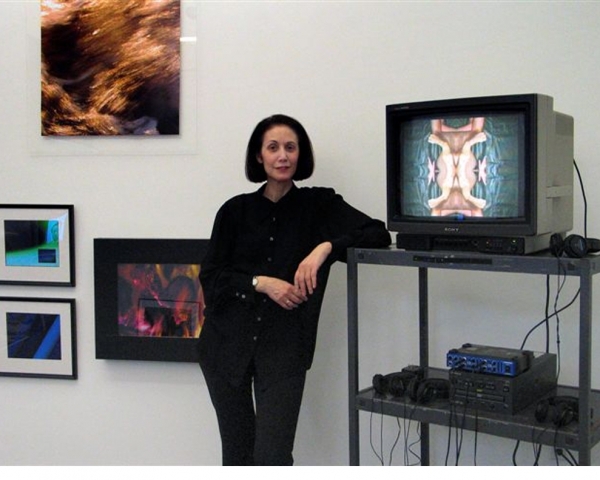 This project was my first venture into the realm of curating video art. 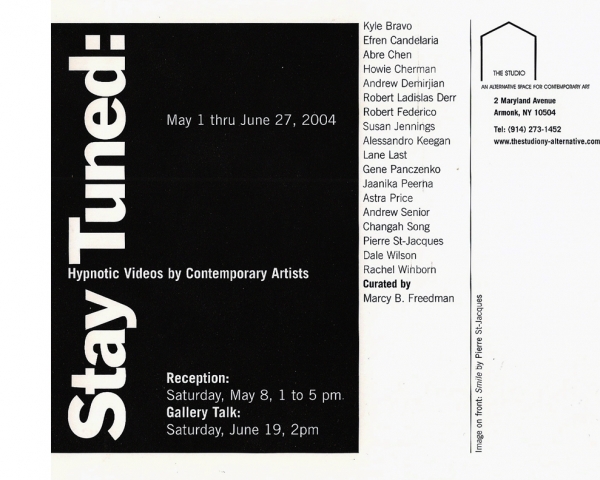 I watched more than one hundred video submissions — some quite awful – before settling upon a theme (hypnotic effects in video art) and selecting 18 artists from the tri-state area. Each chosen artist sent one or more still images along with his or her video submission. The resultant exhibition was visually and conceptually engaging and received a very favorable review in the NYTIMES.